Law firms representing victims of the 9/11 attacks in an ongoing legal dispute with wealthy Saudis suspected of financing al-Qaeda have recently turned their attention to two individuals with unique ties to the U.S. government. Lawyers for victims of the attacks, as well as insurance companies of property owners in New York, have filed a motion of discovery in federal district court in Manhattan targeting the Saudi-owned National Commercial Bank (NCB) and two of its former executives, Khalid bin Mahfouz and Yassin al-Qadi. Both Mahfouz and al-Qadi have a murky history that includes alleged ties to the CIA, the White House, the Bush family, al-Qaeda, and organized crime on a global scale. New entries this week cover a wide variety of topics. 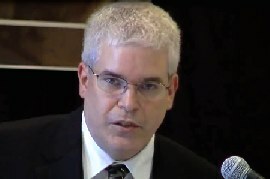 Regarding the 9/11 Commission, members and staff were dismayed by Laurie Mylroie's Iraq-al-Qaeda potboiler, as was a CIA expert who had the misfortune to sit on the same panel as Mylroie, and the Jersey Girls. Staffers were appalled by executive director Philip Zelikow's rewriting of a staff statement to imply Iraqi connections to al-Qaeda, and forced him to back down. Most entries added to the 9/11 Timeline this week deal with terrorism finance in general and the criminal Bank of Credit and Commerce International (BCCI) in particular. Between 1979 and 1991, the US government received over 700 tips about criminal activities by BCCI, which repeatedly saved Pakistan from financial ruin and funneled money to A. Q. Khan's nuclear program, but essentially ignored all 700 of them. BCCI dominated the supply chain of CIA supplies and weapons for the Afghan mujaheddin and was also used by the CIA to pay 500 British informants and for another slush fund, of which the CIA failed to notify US customs. The NSC gained a clear picture of BCCI's criminal activities from CIA reports, but a US senator was kept in the dark about them. The Pakistani government allowed drug traffickers to use BCCI, which was linked to Osama bin Laden, and a huge munitions explosion towards the end of the Soviet-Afghan war hid the fact that that money for the mujaheddin was being diverted to A. Q. Khan. Elsewhere in terrorism finance, an address book recovered in a raid linked an al-Qaeda operative to a Saudi billionaire, the IIRO and the Muslim World League are part of the Saudi government according to testimony, and Persian Gulf sheikhs allegedly gave bin Laden US$ 50 million in a handy single transfer in 1999. The government of Saudi Arabia refused to help capture a key Hezboallah figure in 1996, made little effort to fight terrorism financing before 2002, and was still not properly overseeing charities in 2007. In addition, militant operatives were told to use a prominent Saudi bank and a known terrorism financier was removed from UN and US blacklists when he promised not to do it anymore. Imam Anwar Al Aulaqi, an associate of Khalid Almihdhar and Nawaf Alhazmi, was inexplicably allowed to leave the US in 2002, and arrested and let go in Yemen in 2007. The US finally determined he was linked to al-Qaeda in 2008. Miscellaneous new entries include the US monitoring a "very important source" in Sudan around the time of the 1998 embassy bombings, but letting two of the apparent bombers escape. A 1994 US intelligence report concluded Islamic militants would take power in Egypt, fighters were not ready to launch on 9/11 from Syracuse air base even after 10:00 a.m., the CIA tested an al-Qaeda training camp for chemical weapons in 2001, and an attack on oil facilities in Yemen was foiled in 2006. Finally, Presidents Reagan and Bush facilitated the Islamic bomb by repeatedly and falsely certifying Pakistan did not have a nuclear weapons program, despite knowing that it did. Originally posted here. Please also bear in mind that the History Commons is in need of donations. You may have heard that it takes a Clinton to punish a Bush for crimes of state. Not likely. The simple, undeniable fact is that Bill Clinton was presented the opportunity to prosecute former Bush Administration officials when he took office in 1993, but he refused to fully pursue his predecessors in the Oval Office who had been responsible for the illegal Iran-Contra operation, the S&L rip-off, and the BCCI scandals. Instead, Clinton’s presidency was tainted by its own intelligence and campaign finance scandals – massive espionage and influence buying operations -- featuring much of the same supporting cast of foreign intelligence agencies, corrupt U.S. middlemen, and international bankers who had been at the center of the Reagan-Bush scandals. No Clinton era official or those of two earlier Administrations were ever fully prosecuted and jailed for their role in crimes involving the CIA and BCCI, or for related crimes that have afflicted the Bush 41 and Clinton presidencies. Investigations have been repeatedly sidetracked, ignored, or when prosecutions actually occurred, top officials have been pardoned. These crimes, along with new and more lethal variations on them, carried over into the Bush 43 Administration. I just came over this one hour documentary at YouTube. It has some interesting interviews (see full list of persons below). Zbigniew Brzezinski gets eight minutes on his role in Afghanistan in the late 1970s. OUR OWN PRIVATE BIN LADEN is a film about understanding the creation of the persona of Osama bin Laden as a phenomenon of the interplay between history, politics, global economics and the media. The film highlights the historical background that led to the fatal link between post-Cold War politics and the emergence of new forms of terrorism that succeeded in establishing their own economy. It traces the connection between privatization, deregulation and free market and the globalization of terrorism. OUR OWN PRIVATE BIN LADEN examines the complicity between economic structures of "terror" and "the war on terror," their interdependencies, and the creation of the Bin Laden industry as a consequence. The film explains why the world after September 11, 2001 is less the result of a stray act of terror but the consequence of a series of fatal decisions made from 1945 onwards. Named Best Foreign Documentary and Best Film of the Festival at the inaugural European Independent Film Festival in Paris, Samira Goetschel's consuming work achieves the brilliance of Michael Moore with a great degree of dignity and restraint. By sheer determination, she collected a trove of high-caliber interviews with eminent investigative journalists and political figures such as Cold War-era CIA director Stansfield Turner, former national security advisor Zbigniew Brzezinski, Pakistani ex-prime minister Benazir Bhutto and the world's leading "public intellectual” Noam Chomsky. The title is great, the essay not quite as interesting. Still, this is getting coverage at many progressive news sites, such as Alternet. The overlapping funding of the Bush family and Osama Bin a Patsy is indeed worth looking into. How the Bush family's private connection to a dirty offshore bank is the only link between Osama bin Laden and Saddam Hussein. The following chapter, "The BCCI Game: Banking on America, Banking on Jihad," appears in investigative journalist Lucy Komisar's new book "A Game as Old as Empire," just published by Berrett-Koehler (San Francisco). Now that the U.S. Congress is investigating the truth of President George W. Bush's statements about the Iraq war, they might look into one of his most startling assertions: that there was a link between Saddam Hussein and Osama bin Laden. BCCI researcher Lucy Komisar in NYC this weekend. John Perkins's controversial exposé, Confessions of an Economic Hit Man, came out of nowhere in late 2004 to become an international word-of-mouth sensation. Now Perkins is joined by a dozen contributors-journalists, investigators, activists, and even other economic hit men in A Game As Old As Empire: The Secret World of Economic Hit Men and the Web of Global Corruption. Dave Emory: ...the current seated President, George W. Bush, is not at all separate from the BCCI milieu ... this isn't something that's "long ago and far away". The money comes from CIA, it goes through BCCI, in accounts that nobody knows about, that nobody can follow, and then money from the big shareholders of BCCI comes back to George Bush. Isn't that an interesting circle?